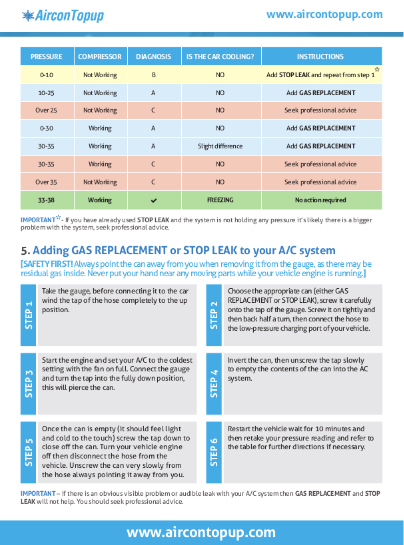 Re-gassing your vehicle aircon system is no longer difficult - with this fantastic system almost anyone can replace the air conditioning gas and get back peak performance and freshness. 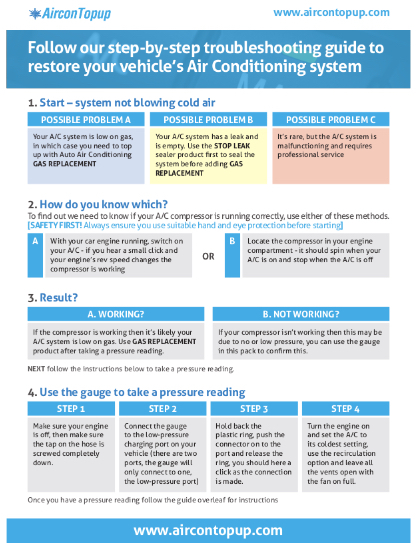 It connects simply to the low pressure air con port of the vehicle making it ideal for DIY use. 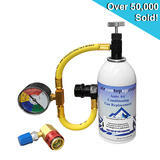 The product does not fall within the scope of the F Gas regulations - the gas is not R134a. Instead it is a compatible product that can be added directly to vehicles previously filled with R134a . 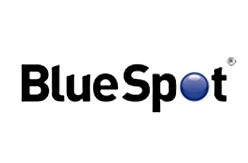 Most cars manufactured after 1994 were filled with R134a from new so our system is compatible with a huge range of official and unoffically imported vehicles. We list cars that are older than 1994 - some were R134a filled and some were R12 so if you are buying for a vehicle older than 1994 please check to make sure your particular example is running on R134a either from the factory or having being retro converted (most have been by now). Our gas acts as a direct replacement for R134a gas with the added benefit of being non ozone depleting and safe for the environment - being lighter than R134a it also allows your system to run more efficiently, putting puts less strain on automobile parts. 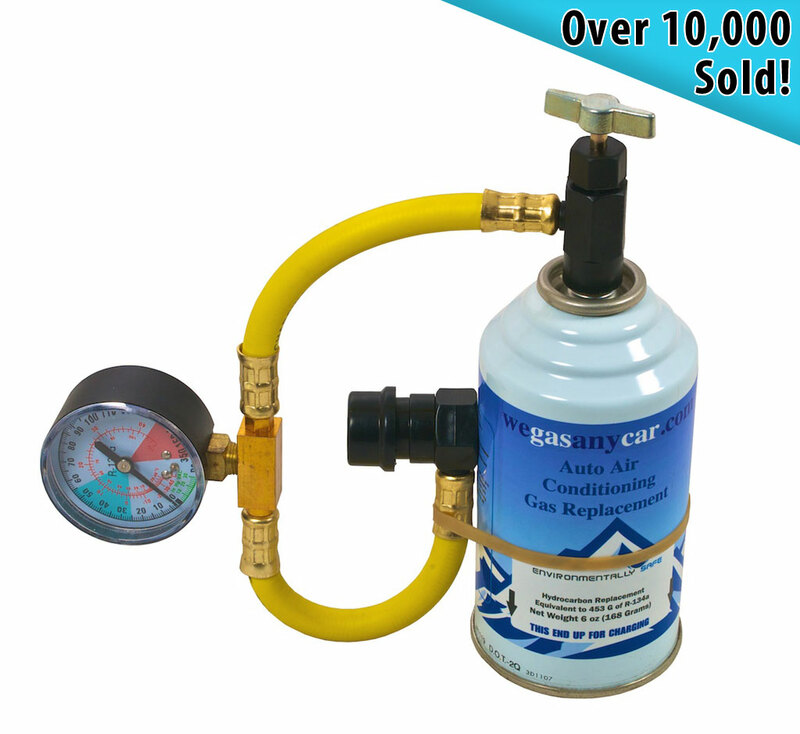 One 168g can of our gas contains the equivalent of 453g of R134a refrigerant. This is enough to fully restore the vast majority of systems which are low on gas. 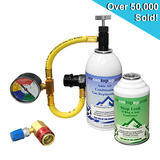 For cars with very large capacity, badly depleted gas levels or that have not been used for some time we also sell a Stop Leak product in our ebay store. This conditions the seals and O rings and helps the system re-lubricate. This will not fill a empty system. Please be advised additional cans and vacuum maybe required.